I have mixed feelings about the Miix 700. Lenovo has done a good job of innovating on detachable design with this device's attractive metal body and leather-backed keyboard that includes a sleek watchband hinge. We also like the vibrant, 12-inch touch screen with active stylus support. Positive: Stylish look; robust case; high screen resolution; powerful performance. Negative: High price. Positive: Good display; built-in modem; good keyboard. Negative: Poor touchpad. 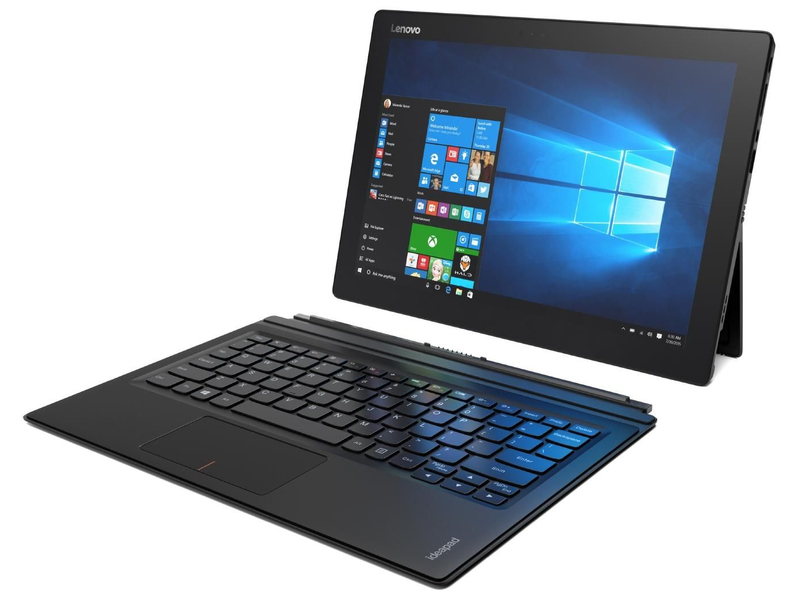 Model: The Lenovo IdeaPad Miix 700 is a convertible laptop with powerful hardware, yet affordable price. It features up to a 6th Generation Intel Core m7 processor, 8 GB LP-DDR3L RAM, a 256 GB SSD and an integrated Intel HD graphics. Its 12 inch display features a resolution of up to FHD+ (2160 x 1440 pixels). The convertible laptop measures at 11.5 x 0.35 x 8.27 inch (292 x 8.95 x 210 mm) in tablet form and at 11.53 x 0.22 x 8.82 inch (293 x 5.5 x 224 mm) with folio case. It weighs starting at 1.7 lbs (780 g) at tablet form and the folio case weighs at 0.7 lbs (330 g). The Windows 10 Professional system features a 5 MP rear camera with autofocus and flash and 5 MP front camera. For audio, it features stereo speakers. Wireless networking is possible via WiFi and Bluetooth 4.0. The connectivity includes a USB 3.0 port, a USB 2.0 port, a Micro HDMI out port, a microSD port and an audio combo jack. 80.18%: This rating should be considered to be average. This is because the proportion of notebooks which have a higher rating is approximately equal to the proportion which have a lower rating.